As a youth player, he played his club soccer in North Texas for the DFW Tejanos and FWFC ’90 team. A three year starting defender for Aledo High School, Sean won 2 District Championships and won All-District awards all 3 years. 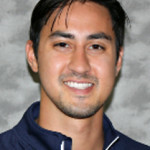 In college Sean played for Texas Wesleyan and Concordia University. Sean was second leading scorer during his only season at Concordia and helped the team to a then program record 21 points. After ending his playing soccer career Sean relocated back to Fort Worth and is loving coaching for AFC.